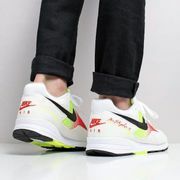 Find cheap shoes for men and women. Shoe deals shared by our community of bargain hunters. This includes deals from Shoezone, Schuh, Clarks and all other UK fashion retailers. In the past we've had shoes for as littles as £1.50 (with delivery), some cracking code stack opportunities and of course Black Friday big sales. Have a browse and share your thoughts in the comments. Buying the perfect shoes is indeed an investment in terms of your foot’s health. But how do you find shoes that provide adequate support and properly fit your feet and budget as well? We are here to help at Latest Deals to make sure not only will you get the best shoe that fits you and your budget. We have a savvy team of bargain hunters who are always looking out for the hottest cheap shoes clearance sale in the UK and bargain footwear. So whether, you’re looking for cheap shoes for men & women online with free delivery, cheap heels under £10 or even £5 shoes website, we’ve got your feet covered, literally. Shoes are a necessity, but they don’t need to cost you a fortune. It is important to do your research and know where to buy quality cheap shoes online and compare prices if you want to save money. Opting for quality means that it will last longer, but unfortunately, not everybody has the budget to blow on just one pair of expensive shoes. But you don’t have to pay the odds in order to find shoes of good quality. In fact, there are online shops in the UK where you can buy seconds or shoes that have some very minor imperfections. What this means is that you will be able to buy expensive shoes for a fraction of the price. It’s not just your ordinary sale, but you are sure to get massive discounts! However, some shoes may come with some marks or a slight discolouring as they could’ve been used for store display or have discouloured from being in window displays. Or they could simply just be end of lines that are no longer selling. 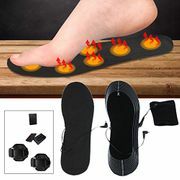 Whatever has happened to these shoes, they are now really cheap for you to take advantage of. With so many different types, we all have shoes that fit the different aspects of our social and everyday life fitting everyone's budget from value brands to no-frills brands to your upmarket Designer brands. In-store vs Online Lots of different brands are emerging that can fit everyone's pockets. Families tend to hit the supermarkets first to get value shoes as kids go through many pairs in a school year. Clark's have come out top in comfort for babies to toddler shoes. Men, women and young adults tend to hit both online and in-store to get that perfect pair. Factory outlets and luxury shopping villages like Bicester Village also are known to have the best to suit every style and budget. 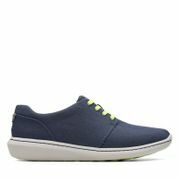 Where can I find cheap shoes online in the UK? Schuh. You can buy imperfect shoes at Schuh. They currently have more than 1,000 shoes for men, women and kids up for grabs. Some pairs have discolouration, scuffs and other minor issues. Within each products listed on their website, you will see an actual close up of the shoe as well as the description of what the minor issue is with that particular shoe. This way you will have an idea an idea of what you will be paying for. Some of the bargain footwear here includes Hush Puppies, Red or Dead heels for just £9.99 and cheap shoes for kids from brands like Vans and Toms for only £1.99. If you have a NUS card, you will be able to double up your savings with a student discount of 10%. Everything 5 Pounds. As its name suggest, Everything 5 Pounds is your £5 shoes website and everything in between like dress or tops are set as a fiver. You may not get branded shoes here, but there are you can stumble upon occasional Robert Dyas or New Look labels from time to time. Keep in mind when ordering that their boots and shoes come up a bit small. And if you want to get more savings, make sure to check out or deals page for the retailer. eBay Outlet. eBay Outlet has brands like Dune, Clarks, Debenhams and Office just to name a few selling discounted outlet shoes and clothing instead of loading up their own online shops with clearance stocks. They are a treasure trove for cheap shoes and clothes. Offcuts by Office. Office Offcuts offer last pairs of shoes that would’ve once been in one of the main stores of Office. Note that they may have some sort of markings and would’ve likely been former display shoes, but any kind of imperfections are photographed and described. Clarks Outlet. If you love Clarks shoes, then you have to check out their online outlet store where you can get discounts of up to 60%. You are only allowed to buy 4 pairs at one time though and they don’t have kids shoes on the site. TK Maxx. Find a pair of shoes at TK Maxx starting from just £6 from their massive range of one off shoes. The retailer directly buys from vendors so you they are offering them even cheaper. If they don’t carry your size, it is likely that they will never have it so make sure to do a size search before falling in love with a pair. Asos. The website of Asos has an outlet section where you can save up to 70% off on branded shoes. You can find high street cheap and discounted shoes here all the way through to designer brands with huge price cuts. Shoeaholics. You can find handbags and shoes at Shoeaholics discounted for up to 75% off their original price. The retailer is a part of the Kur Geiger company so you will be able to get their shoes first at really cheap prices. They offer cheap shoes UK mens and womens and you will also be able to get 10% discount if you are registered with Unidays. Plus get an extra 15% off your first order just by simply signing up to their newsletter. Amazon shoe outlet. You can buy just about anything and everything on Amazon. As part of everything they offer, they have a wide range of outlet shoes for men, women and kids. Adidas. If you’re on the market for something more sporty or casual, but still do not want to pay a lot, then adidas is the place you need to visit. The big brand has an in year outlet section on their website where you can get as much as 50% on their selection of items. Flannels. The outlet site of Flannels sell some pretty sweet shoes. Some are still discounted massively and start at about £20. While some shoes are not heavily discounted as you would like them to be, others are a total bargain steal. You will see hundreds of pounds slashed off Jimmy Choo shoes so try not to look at main website as the prices on their regular items will make your eyes water. Our members also mentioned that for kids first shoes, they would rather hit the high-street or supermarkets. Kids go through a lot of shoes per school academic year alone, along with daily footwear as they out grow them. Aldi kicked it off with it's Back To School event in July and there were people queuing outside the store to grab the bargains. Prices started from £1.79 for Plimsolls, £4.99 for the Lily and Dan Children's Trainers and £6.99 for a pair of patent black and leather school shoes. Designer outlets offer great bargains too. With around 60% off designer fashion brands offering a great day out and also finding the best designer shoes available. The first thing you need to do is to look at you own feet and what’s already in your closet. Stand barefoot on a piece of cardboard or paper and trace the shape of each foot. Then take your shoes and place them one by one on top of your drawing. If you are like most people, your comfortable shoes will match the outline of your feet closely. Identify the shoes that’s causing your feet pain. For most women, these will be those shoes with high heels or narrow toes. Check to see if the shoe’s toe is shorter or narrower than your own toes. When you’re ready to replace some of your uncomfortable shoes, you can now begin searching online for what you’d like to add to your collection. Nothing can replace the experience of buying your shoes in-store. But if you’re a very person and don’t have the time to shop around high-street, shopping online is the best option. Here are some tips to keep in mind when buying shoes online. The right online shop. Make sure to choose a reputable online shoe shop with a reliable history. It pays to read customer reviews and feedbacks. Carefully read returns policies. It is a must to read the return and refunds policies. If they are very severe or do not offer much options for customers, then opt for a different store. Shoe images. Buying shoes online relies pretty much on the images offered by the retailers. Consider sites with large enough images so that you can evaluate shoe details more closely and from different perspectives. Materials. Another thing you need to consider is the shoe material. Since you will not be able to physically touch or weigh the shoes, you will not be able to get an accurate idea of its materials’ quality. Check if the retailer has a description of the details of the products and carefully read the materials used and if you have any doubt, do not hesitate to contact their support team. Colours. Keep in mind that photos do not accurately reproduce the colour of the product. The right size. One of the issues of buying shoes online is choosing the right size. It is therefore important to measure your foot and compare it the retailer’s size guide line. Test buy and try. Don’t horde, do a test buy first and once you received your purchase, try them on right away without taking any labels away. If it does not feel or fit right, return them immediately to ensure that you are within the returns period time frame. Keep in mind to try the shoes indoor to avoid damaging them. So, what is it about shoes that creates some sort of addiction towards them? Dr. Marten's seemed to be the most favourite brand among our members. Some get married in them too! If all fails, then just make some yourselves...DIY SHOES!! Never buy Full Price! Shop around for Voucher Codes, Discount Codes. Wait for the sales. Checkout out in-store deals on shoes and compare them to online sales. Also worth checking out bargain online retailers like Everything5Pounds and Lessthan10pounds that offer branded shoes from retailers at ridiculously low prices. Amazon and Ebay offer have brand retailer outlets with amazing bargains. I hope this guide helps you find the best bargains in shoes if you are a shoe addict like me because they make us happy!